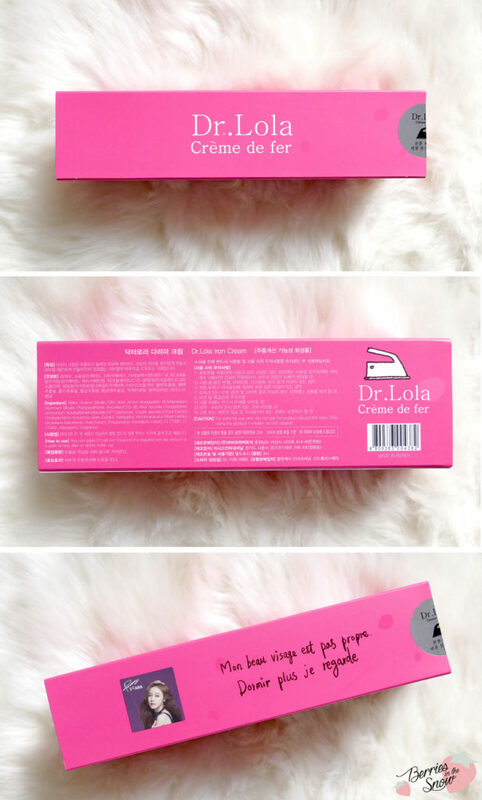 It was the first tine for me hearing about the brand Dr. Lola. I have no real information about the brand either except I saw a bunch of sheet masks that were sold by this brand. 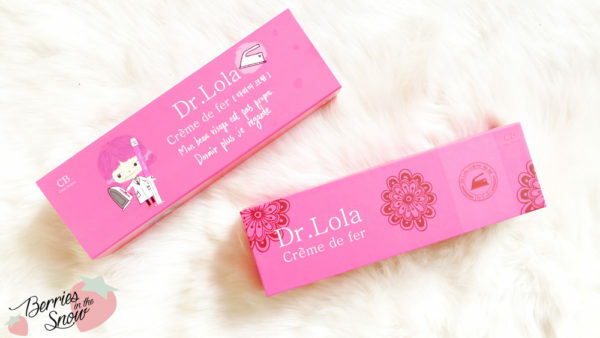 I was a bit confused first, too, because I thought the Dr. Lola Crème de Fer is a skin care product and then suddenly after using it for the first time it came to me that this cannot be skin care but a makeup primer :D Don’t ask me why I was confused but maybe it was the iron depicted on the packaging. I directly connected wrinkles and anti-wrinkle care to it. 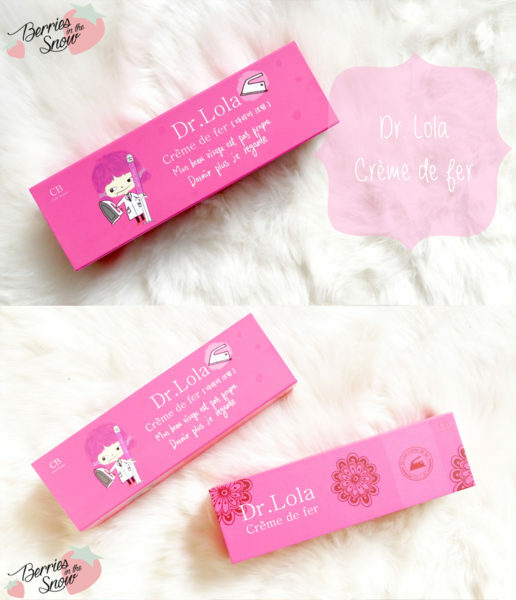 Dr. Lola Crème de Fer comes in a pink box with some illustrations and ornaments. There is mainly Korean description but also some short English direction, which says to use a rice grain amount of the product and apply it on target areas. The ingredients can be checked via COSDNA. It is pretty short and I’m quite positively surprised. All of the ingredients are either green or yellow flagged, while the yellows are only for 2 ingredients (and one maybe). 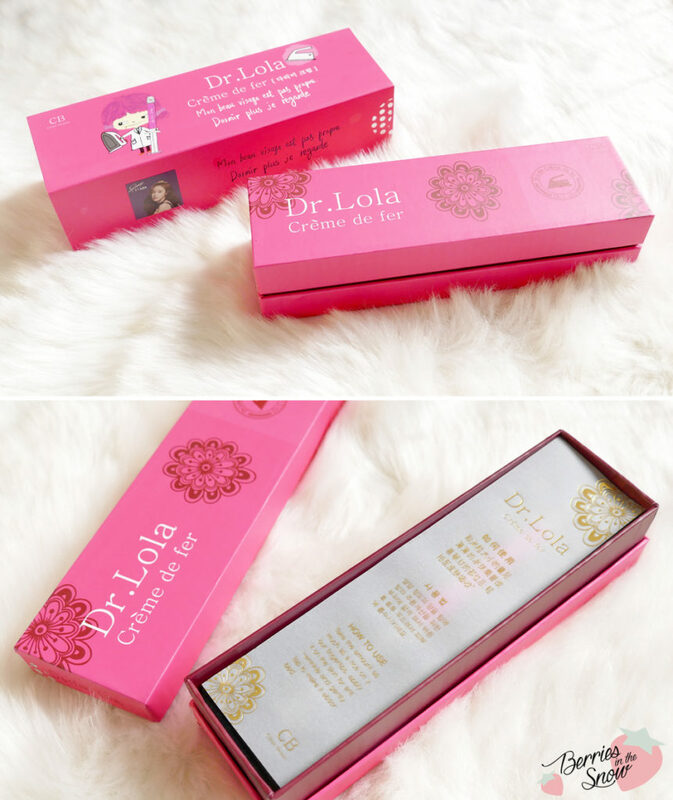 The inside if the Dr. Lola Crème de Fer Box is also really beautiful. There is a semi-transparent sheet with short description in golden print. Below you will find the product that comes in a syringe type dispenser. 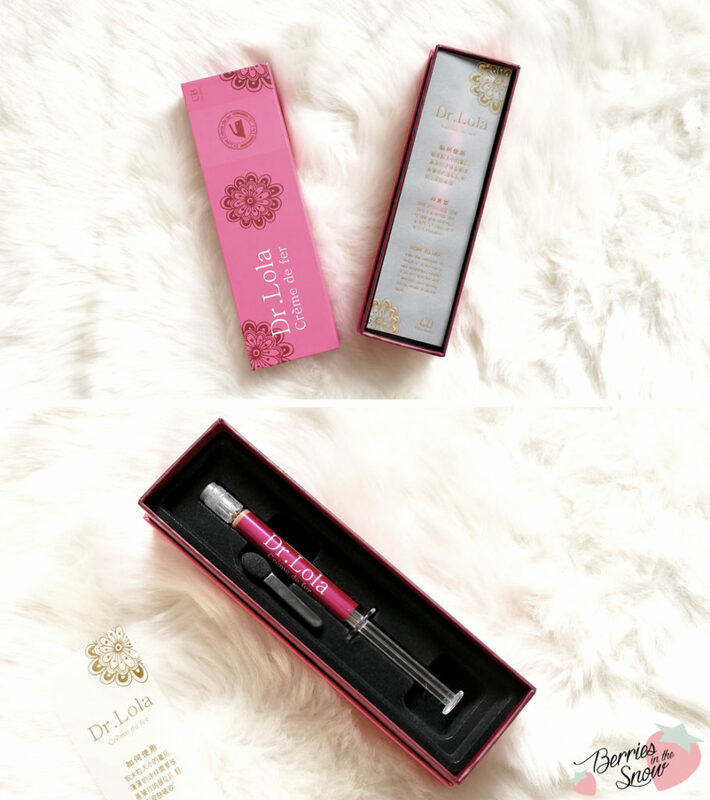 Below you will find that the product comes in a syringe type dispenser, and since it is designed to blur out your wrinkles and pores the syringe is the perfect dispenser for the small amount that you will need. Of course there is no needle though! 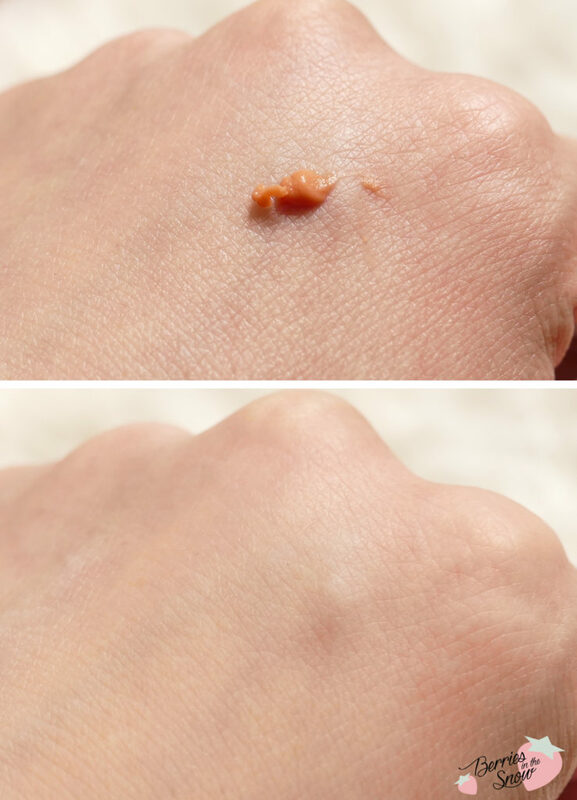 The balm-type primer has a beige/orange color and has to be blended in very thoroughly so the orange tint blends into you skin tone. It has a blurring effect on the skin and makes it appear more matte and smooth. You can see the effect in the picture below aswell. Although in the same focus the lines appear more blurry, but do not disappear completely. 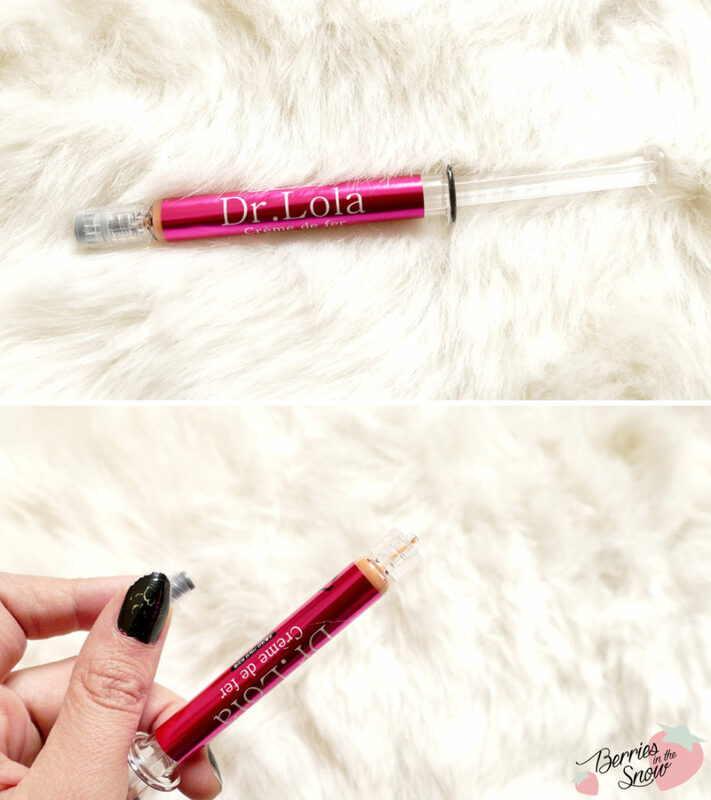 Dr. Lola Crème de Fer does a good job in blurring out the finer lines of the skin. It is not my first choice for covering up enlarged pores or deeper lines though. I found the Innisfree No-Mineral Blur or the Benefit Porefessional Primer more effective. Also I found that you needed to rub this primer more thoroughly than the others I mentioned, otherwise the orange stain is minimal visible – at least for my eyes! 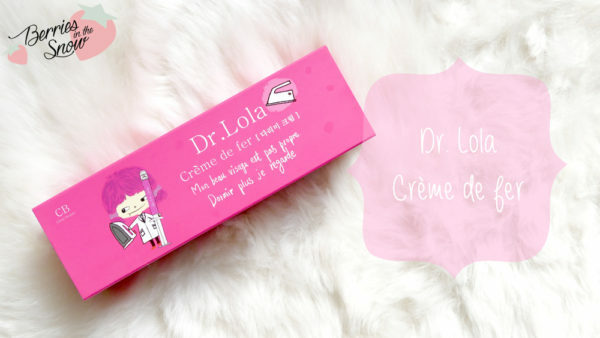 You will find some Dr. Lola products on BBCOSMETIC >>here<<, but I didn’t spot the Crème de Fer there, unfortunately. If you get to know we’re it is available let me know in the comments so I can add the information. You can use the voucher Q2C8JX9N45R3O in order to get 10 % discount on BBCOSMETIC. Just as a short reminder: All products mentioned and reviewed on this blog are of my personal opinions. This product here was sent to me for reviewing purpose by http://bbcosmetic.com/ which doesn’t influence me in providing my honest opinion on the products. Never heard of this brand but I like the look of it, especially the pink syringe. Die Verpackung sieht einfach zu genial und niedlich aus, nur schon das Bügeleisen drauf! Auch das Ergebnis sieht ziemlich gut aus :) Die Marke kannte ich bisher gar nicht! Ich bin nicht so für diesen ‘Weichzeichner-Effekt’, aber es hört sich trotzdem gut an.